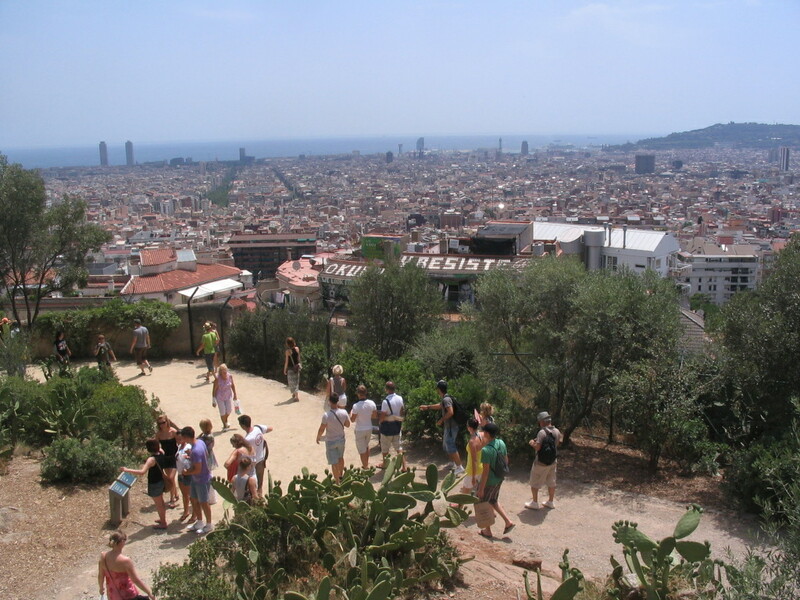 Park Güell was built between 1900 and 1914. 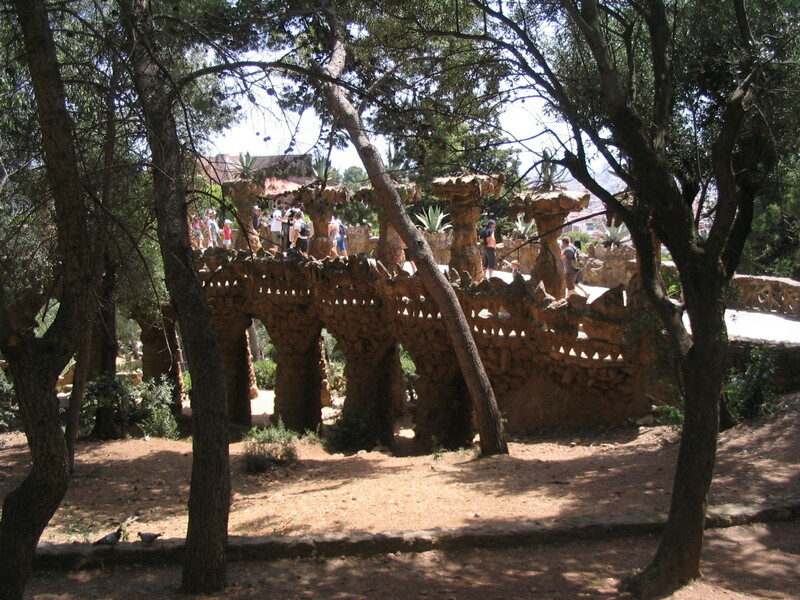 It's a Gesamtkunstwerk, with architecture blending in with exterior structures, which blend in with the landscape, partly thanks to Gaudí's penchant for structures and forms mimicking nature. 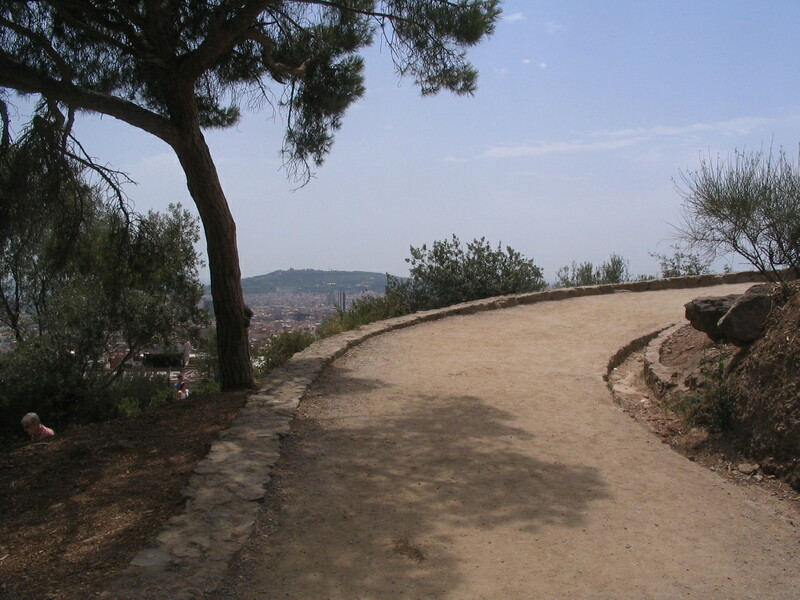 Rounding up to the highest hilltop in the Park, with Montjuïc just visible. 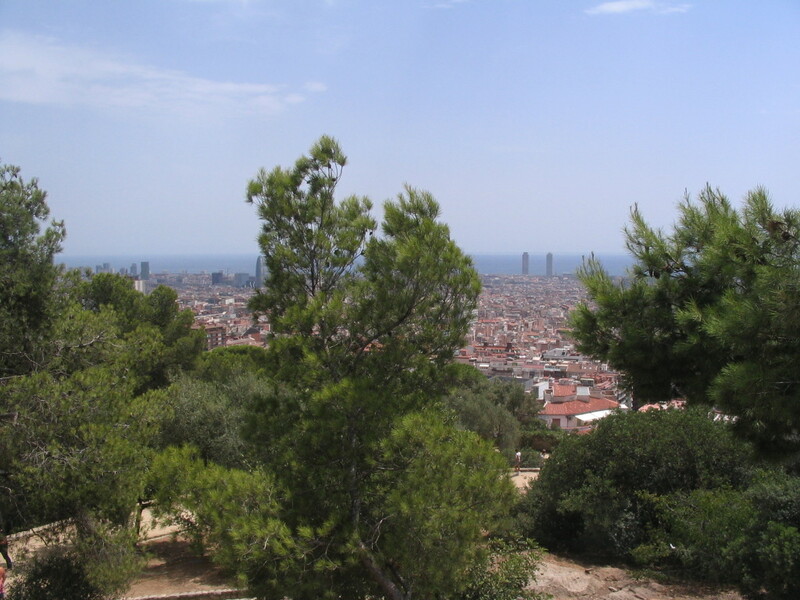 The city and the sea, with near-axial views down Passeig de Sant Joan and Carrer de Bailèn. 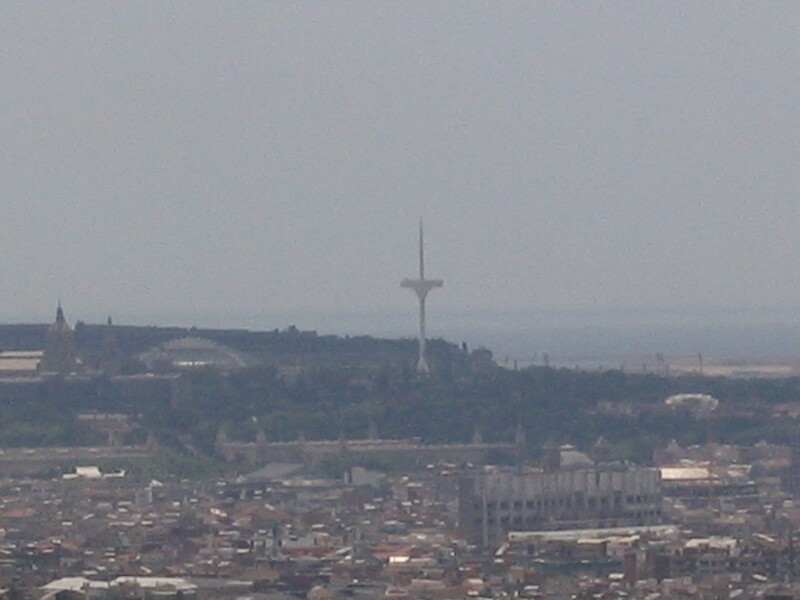 Zooming in on Montjuïc reveals the communications tower designed by Santiago Calatrava, built to broadcast the 1992 Olympics. 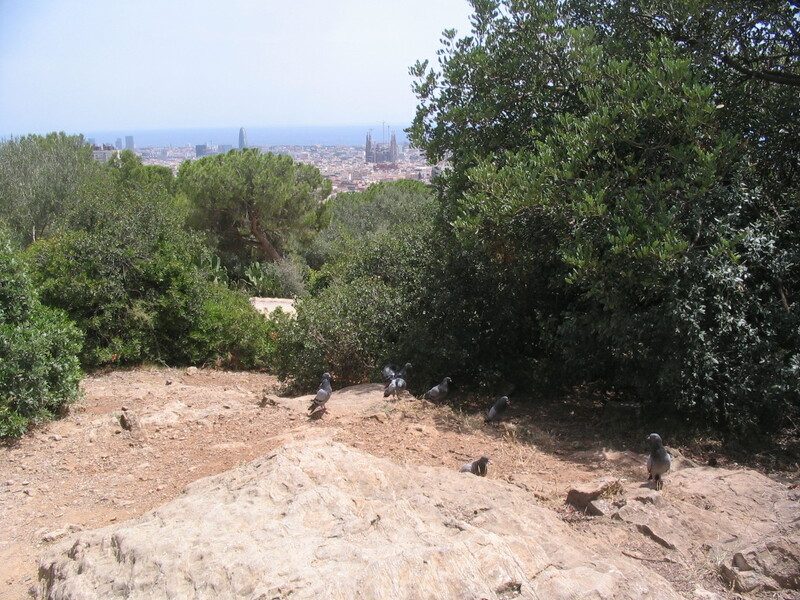 A colony of pigeons, and further out, the Sagrada Família and the Torre Agbar. 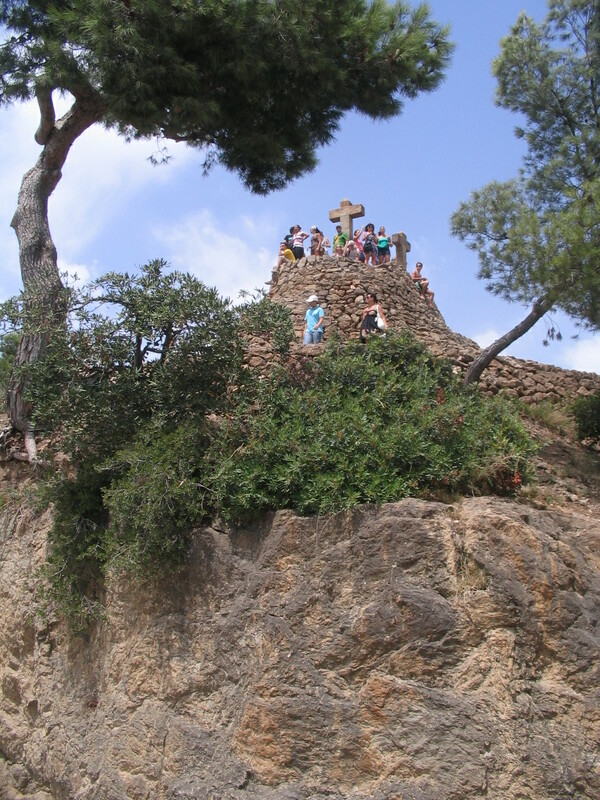 The hilltop is crowned by this small climbable tower and cross, which is naturally quite a popular node. 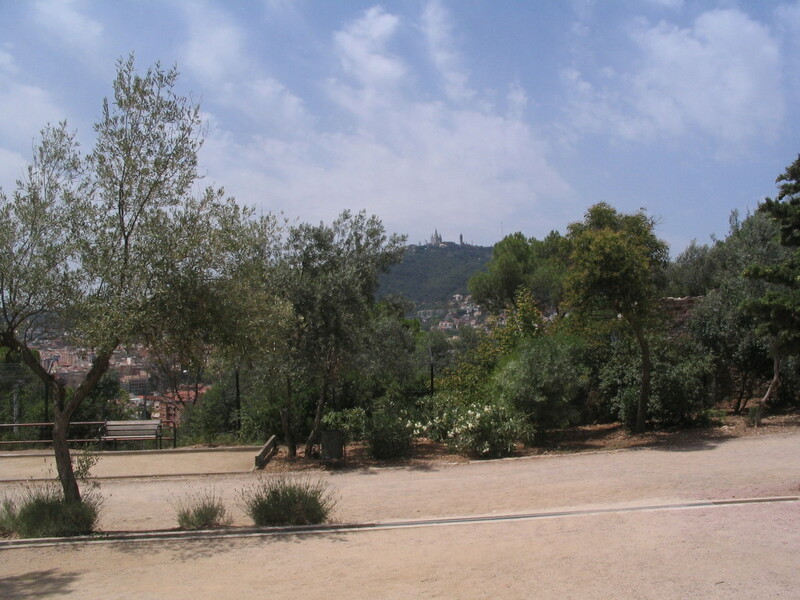 Tibidabo and the Collserola tower looking perhaps less vastly far away than usual. 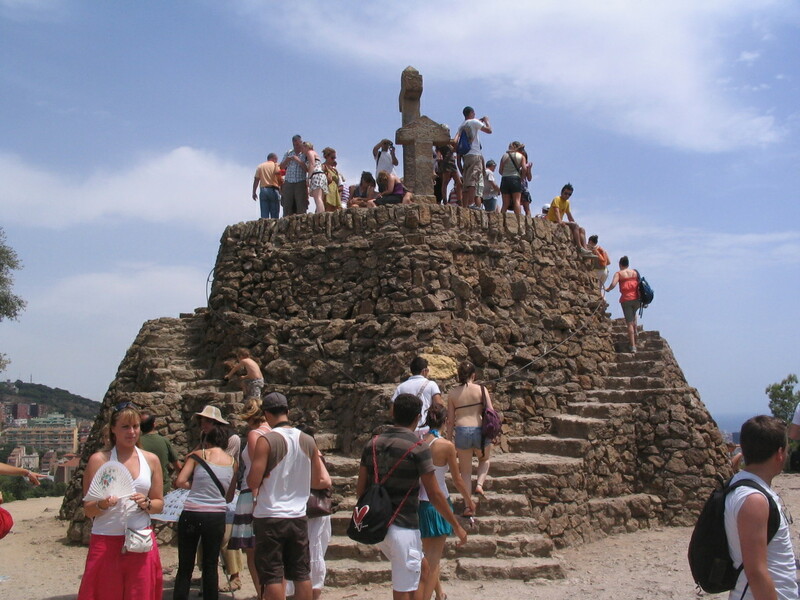 Let's check out the view from the top... nope, way too crowded. 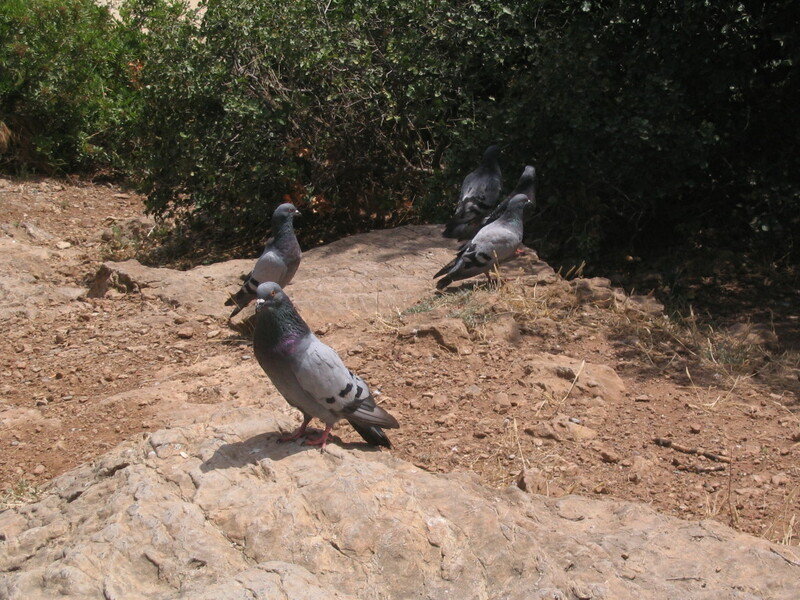 Never mind. 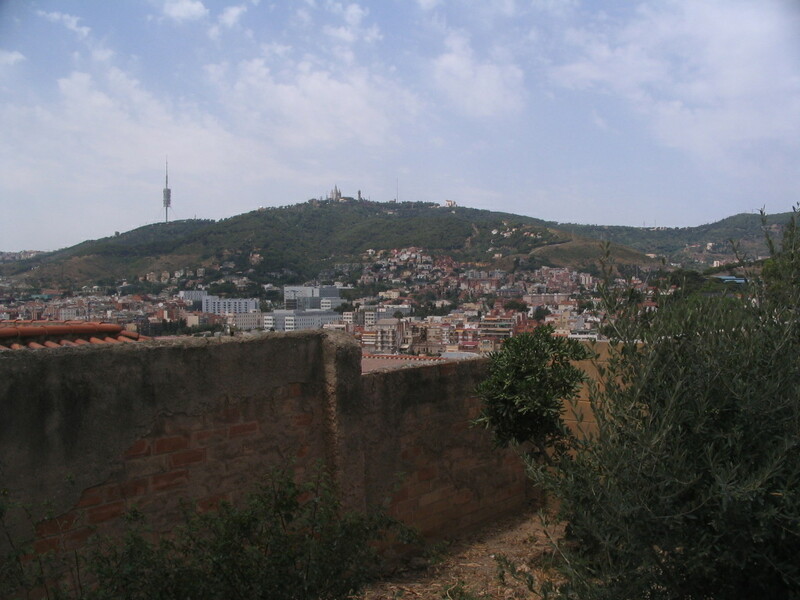 A framed double view, with Torre Mapfre and Hotel Arts, the equally-tall tallest buildings in Barcelona, at right. 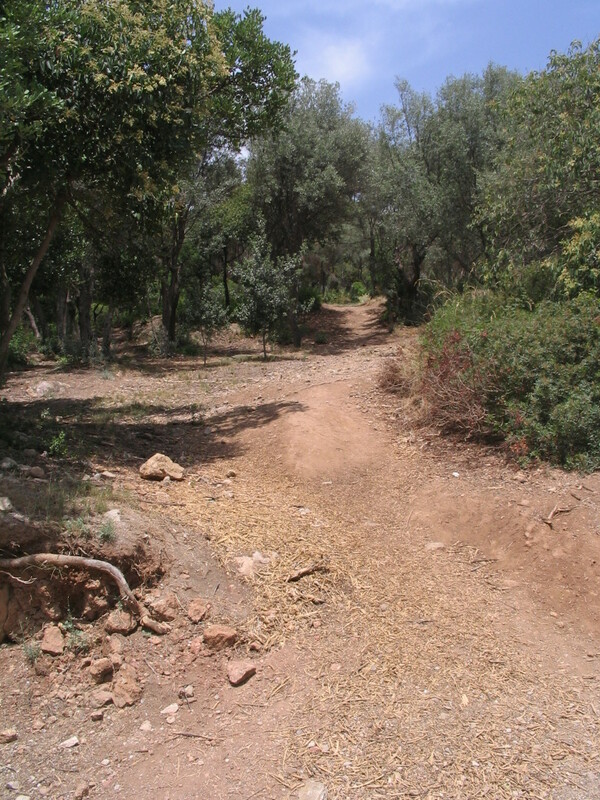 A less improved path leading into the Park's hinterlands. It almost looks like a natural arroyo. 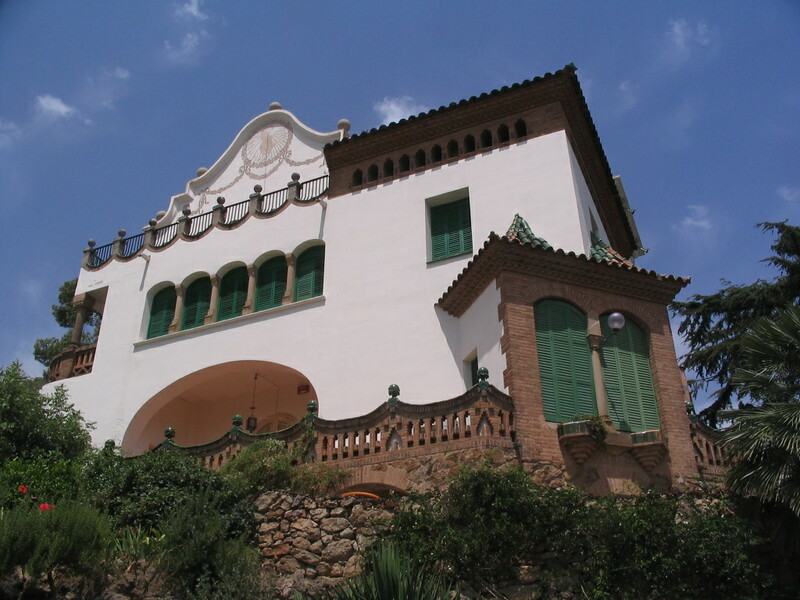 The lovely Casa Martí Trias i Domènech, designed by Juli Batllevell i Arús, is perched on a back ridge of the Park. 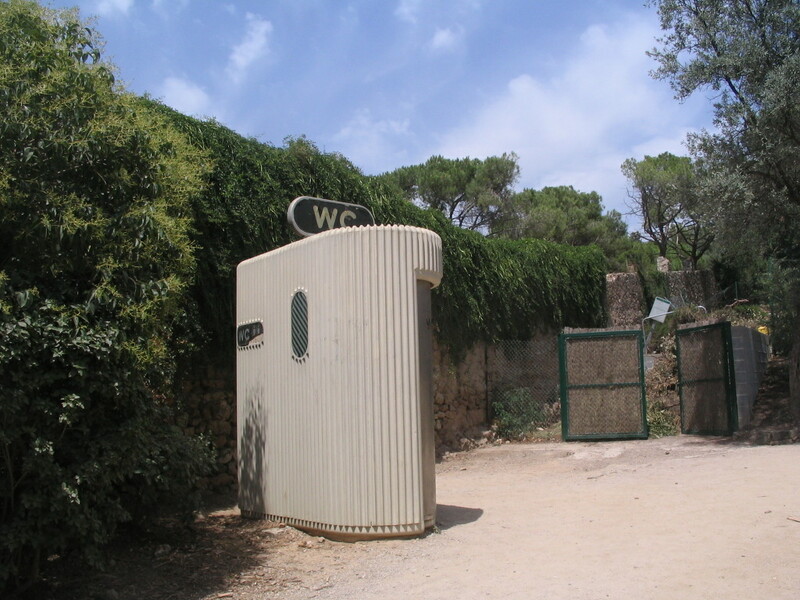 A partial moongate (a gibbous moongate?) 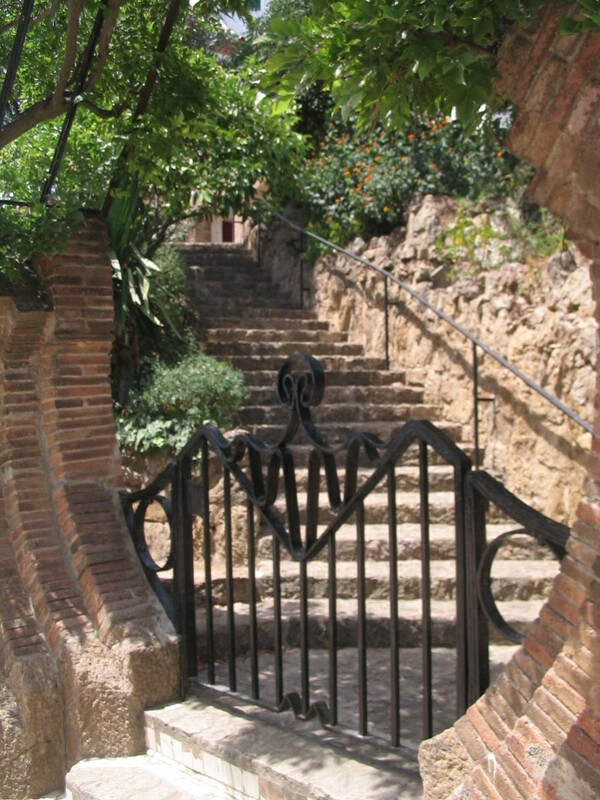 leading up to the Casa. 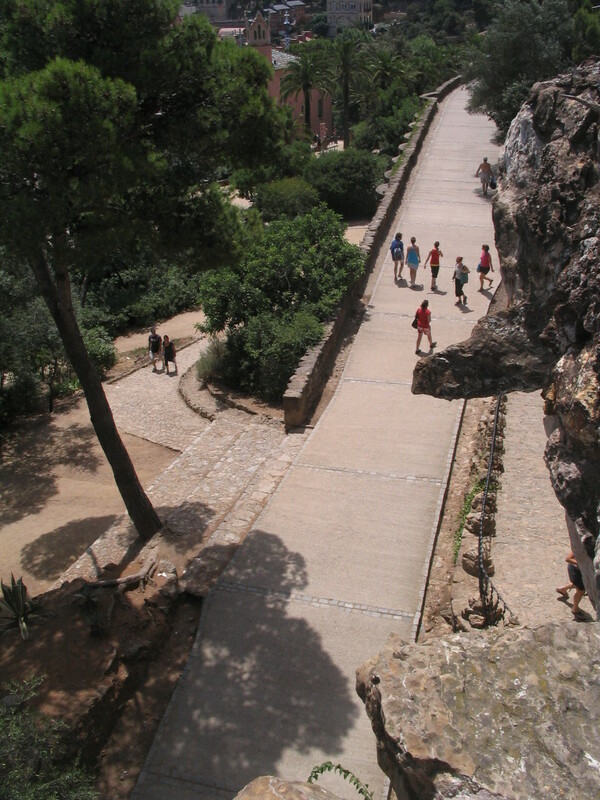 A viaduct-footpath. The rows of triangular openings make the assembly look a little like a series of grinning monsters. 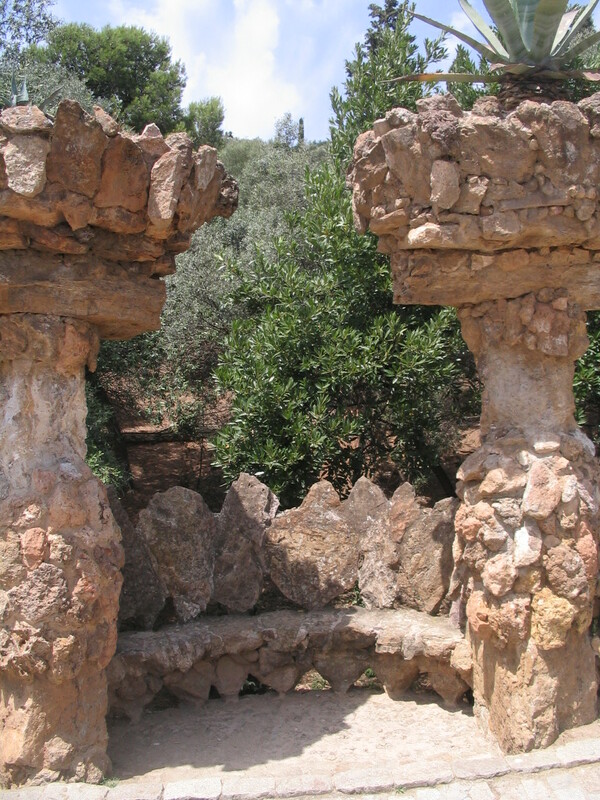 The other side of the monster-teeth, revealed to be benches. 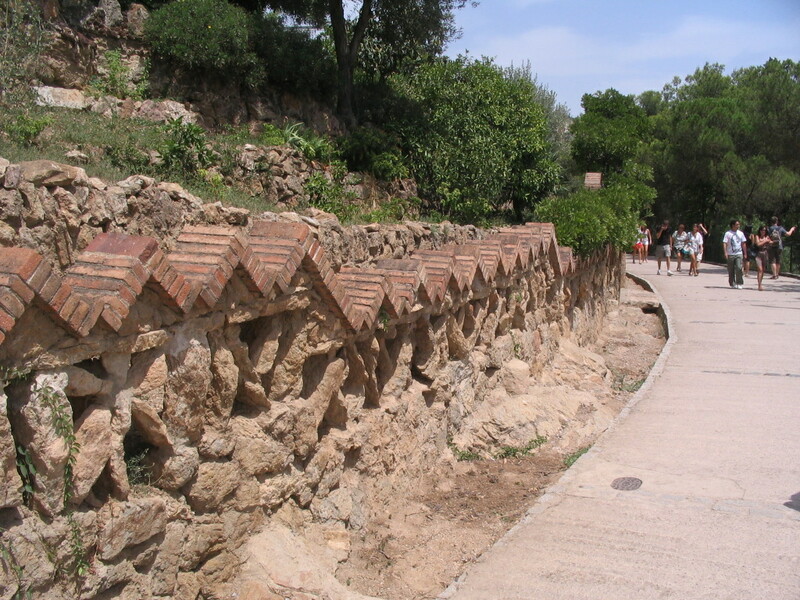 All sorts of masonry and stone textures on the way down.